�����This week's Baltimore Show will set the tone for the next couple of months. Attendance by dealers and the public will be most important. If the show is active it will signal confidence in the market as it steams toward ANA. 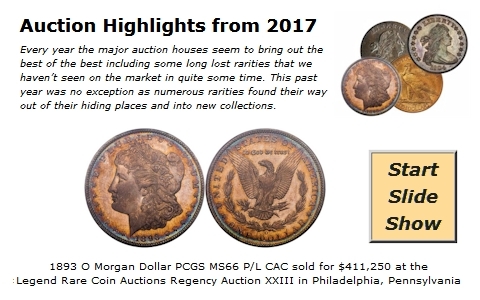 Dealers remain steadfast in pursuit of better date coins with eye appeal. Many of the trades we have monitored recently are for coins with the + designation or CAC labeled rarities. These coins will bring premiums especially for low pop issues. �����In this week's HD Wholesale Market Dealer Price Guide there are numerous advances for Bust Half Dollars through the Walking Liberty series. Buyers are looking for most better dates with above average eye appeal. The 1812 Bust Half in MS64 rose to $4,000 Market, while the 1820 in MS63 is up to $4,825. Other gainers this week are the 1823, 1828, 1829, 1829/7, 1834 and 1836 all in MS64. In MS65 the 1814 and 1829 are higher at $9,750 and $7,950, respectively. Liberty Seated Half Dollars are showing lots of increases for many dates from Fine through MS65. This is a series that most of the circulated coins tend to have some sort of problem even if it is minor. Coins with damage-free surfaces are easily salable. This is why you will see most of the dates from 1878 to 1891 sell at premiums when offered at auctions. �����This week's Gold charts are mixed with movements in both directions. Even though Gold has been up and down during the month, the charts are based on the same price as the last printing of $1,265. While the majority of common date U.S. Gold fluctuates with bullion, early Twenties are still very difficult to accumulate for inventory. If they are not all banged up they will quickly sell to any number of market makers across the country. Although there are not a lot of increases for the Type I Twenties this week, there are enough to illustrate that this area is still in strong demand by collectors and investors. Where prices have not increased, demand is steady. In many cases, some of the non-gainers are only status quo because none have come on the market.